The Ulnar Collateral Ligament also known as UCL is located on the inner side of your elbow. Injuries to the ulnar collateral ligament typically include a sprain, minor or partial tear, stretched ligament over time, or in severe cases complete tear or rupture. Repetitive overhead motion and throwing sports increase the risk of UCL injuries. Sports where UCL sprains and tears are commonly seen in include baseball from pitching, volleyball from spiking, tennis from serving, and football. If you have injured your ulnar collateral ligament, you may feel pain on the inside of your elbow, tenderness, numbness or tingling in your finger or feel weakness. You may have difficulty throwing the ball or controlling the ball. 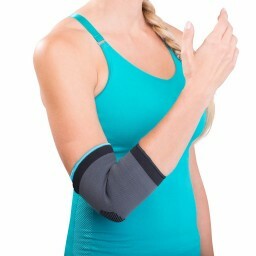 Fortunately, if you have sprained or have a small tear in your UCL, you can use cold therapy and a compression elbow brace to help alleviate pain. As you begin to feel better, try slowly increasing your range of motion and flexibility. If you have completely torn your ulnar collateral ligament, you may need reconstruction surgery also known as Tommy John surgery. 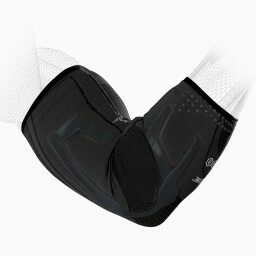 Post-surgery, you should always protect and support your elbow with a brace during recovery. If you have previously injured your UCL or are looking to prevent injuring this elbow/forearm ligament, make sure you warm-up, stretch and strengthen you full arm prior to participating in sports.